Whether you’re unsure about which vehicle wrap is right for your needs or not even certain what a vehicle wrap is in the first place, we can help you navigate the otherwise-unclear waters. In an effort to help you be the most well-informed customer possible, we’ve compiled a list of our most frequently asked questions. What is your hourly rate charge? Our hourly rate for design and revisions is $65.00 an hour. How much do you charge for a vehicle wrap design? How many hours are spent on the design of a vehicle wrap? 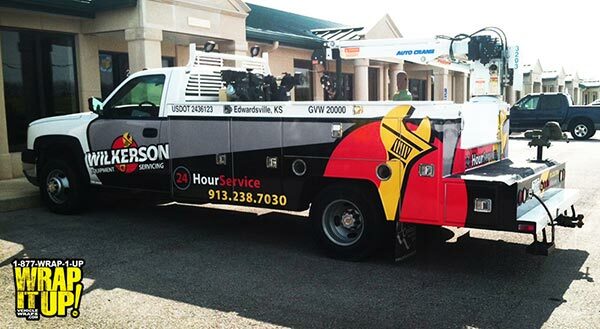 A minimum of 8 hours is spent on the design of a vehicle wrap. Although we do not have a maximum time we can spend on your wrap, we do charge an hourly rate after the initial 8 hours. Print resolution is the quality of the design and print. As the DPI (Dots Per Square Inch) increases, the quality of the print increases. So, a print resolution of 1440×720 DPI would be the best quality wrap you could get and the level of detail for the wrap would be outstanding. Why a car wrap, why not just advertise in newspapers or magazines? Combine the total amount of money you or your company spends on advertising each fiscal year. Then compare that cost to that of a car wrap, also factoring in that a car wrap lasts between 3 and 5 years and will be seen by millions over that period of time. In addition, there are no monthly fees or maintenance/renewal charges. You buy it, you own it! The odds are that a car wrap will be significantly lower than traditional advertising methods. Will wraps fade due to being in the sun? We use solvent-based inks that actually penetrate and soak into the vinyl so the inks will not fade like normal inks would. How durable is the vinyl? Every car wrap is laminated after printing it. This helps to protect the wrap and to also add a glossy shine. Will my car wrap peel or fade? The majority of vehicle wraps last for 3 to 4 years, but there is no guarantee. We do, however, offer a 3 year 3M warranty for a clean removal. What if I dent a side of my car, can my car wrap be fixed? Yes, we can easily replace the damaged pieces or panels of your car wrap. We recommend wraps to be hand washed to maintain life expectancy. Wraps can go through a carwash, but the longevity of the wrap may be compromised. Will a wrap damage the paint on my car? No, and to the contrary, a car wrap, when applied and removed correctly by a professional installer, will actually protect your paint! The only way the paint on your vehicle could become damaged is if the paint was either already chipped/damaged upon installation of the wrap or if you applied a new coat of paint over the existing OEM. How effective is a car wrap? Studies conducted have shown that a car wrap can get up to 8.3 million views per year in a city of 50,000 people. In a medium-sized city, like Pittsburgh, a car wrap can make 1,000 to 2,500 impressions per hour on a busy boulevard. In large metropolis area, like New York City, impressions per hour can be as high as 20,000. We accept all major credit cards: Visa, MasterCard, American Express, Discover. We also accept cash and check, or you can finance your wrap. Can I finance my wrap? Yes, we are now able to finance your vehicle wrap so that is is easier for you to own a wrap and promote your business. Why should I wrap my car as opposed to paint or vinyl lettering? 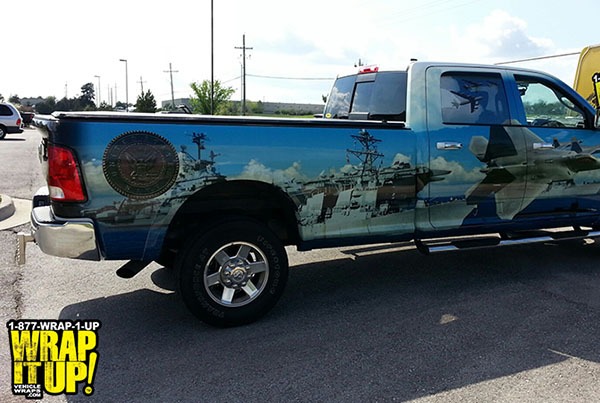 Wrapping your vehicle allows for a more graphically precise and extravagant look to your vehicle. Paint decreases the value of your vehicle and vinyl lettering often leaves “shadows” when removed. Wrapping your vehicle on factory paint can actually protect the paint! What if my company logo or phone number changes in the future? 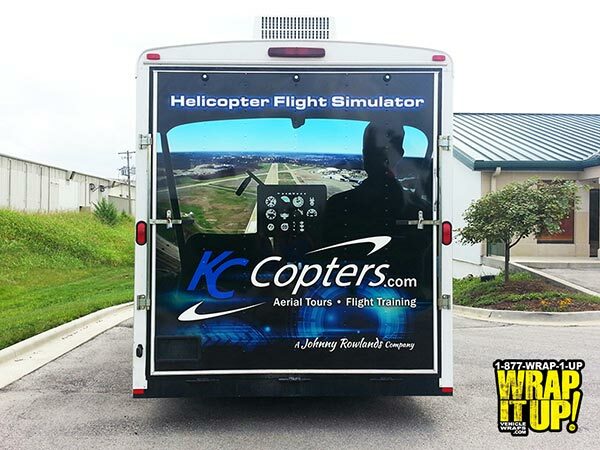 We can print logos, phone numbers, websites, or any other information as text overlays on the wrap, which can be removed and replaced as much as possible. I have decided to wrap my car, but how do I get started? Getting your car wrap started has never been easier! You have a couple options: Call toll-free at 1-877-WRAP-1-UP or contact us. Do you produce vinyl signage? Do I have to get a full wrap or do I have other options? We work with your budget to get you the most for your dollar. You can do just windows, or partial wraps. 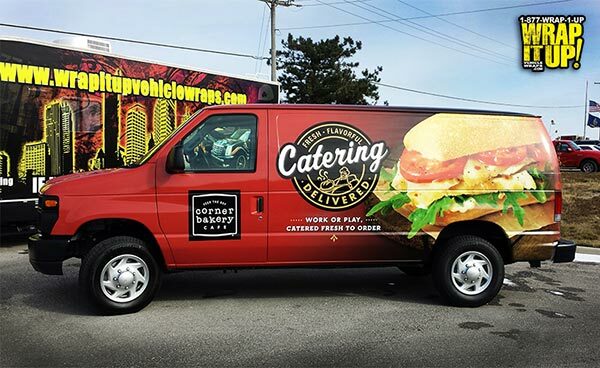 We can even design wraps to start out with just window perforated material and then add onto it as your business grows to make the wrap complete. We also finance wraps! Are the vehicle wrap installers certified? Yes, all of our nation-wide installation teams are led by either 3M® or Feller’s® certified installers. Do we laminate the vehicle wrap? Laminating helps the durability and longevity of your vehicle wrap. We laminate every vehicle wrap to make sure you get the most use out of it. Can Wrap It Up! make custom magnets for my vehicles? Of course! We create custom, high-resolution magnets in any quantity. What if I want my advertising to be visible at night? Then ask about our reflective vinyl! Can you wrap my boat? What about a plane? If rolls, floats, or fly’s we can wrap it! No, we do not recommend wrapping rims due to the complexity and the harsh conditions rims will endure. Can you wrap a fiberglass bumper? As long as the bumper is painted the vinyl will adhere to it the same as a metal bumper. Do you wrap the roof? Do you wrap the front windows? What about the windshield? No, state laws prohibit wraps on both the front side windows and the windshield. Will I still be able to see through my windows? Yes, the window graphics are printed on a perforated vinyl that will allow you to see through your windows, making it completely safe to drive. Does the color of my car matter? No, we can match any color of car wrap vinyl to any vehicle of any color. We will try to match the car’s current color as close as possible. A car wrap is a graphically enhanced removable vinyl covering for your vehicle. Yes. We will not print anything until you are completely satisfied with your design and have physically approved the design and color proof. How can I assure I’ll be satisfied, do you have examples I can see? Satisfaction is one of our top priorities at Wrap It Up! Vehicle Wraps. To see some of our recent car wraps, check out our gallery. Why should I use Wrap It Up? We at Wrap It Up! strive to give our customers the same excellent service and attention that we would expect ourselves. Our level of expertise, experience and customer service in outdoor advertising is unmatched by our competitors. In addition to great service and superior designs, we always promise the lowest price. If we didn’t answer a question you have, do not hesitate to give us a call. You can contact us by dialing (913) 948-7752.